IFS recently conducted a survey of more than 1,000 IT decision makers from companies in six countries. The survey showed that 76% of respondents have IT concerns over the Christmas period with the three main worries being availability of staff (selected 41% of the time), risk of security hacks (selected 31% of the time), and IT demands from people working remotely (selected 31% of the time)— all potentially impacting core business and operating processes. Of the countries surveyed, those in France were the most anxious about staff availability over the Christmas period, with 62% saying it was one of their biggest concerns. By contrast, almost half of respondents from the US (48%) cited security hacks as one of their primary concerns over the festive season. Looking ahead to the New Year, IT decision makers’ greatest wish for 2017 is to have an increased IT budget (42%). Migrating to the cloud (18%) and increasing headcount (16%) were the second and third most popular choices. Regionally, responses varied with over half (51%) of German respondents choosing an increased budget as their top wish, compared to the UK, where just over a third (35%) of UK IT decision makers would prefer a larger budget above all else. In the US and Sweden, roughly a quarter (26% and 25% respectively) of those surveyed wanted to migrate more IT to the cloud in 2017, compared to Australia and Germany where only 11% and 14% respectively chose this option. But what IT decisions could Santa be making? On a lighter note, respondents were also asked for their thoughts about the IT decisions Santa may be planning in 2017. 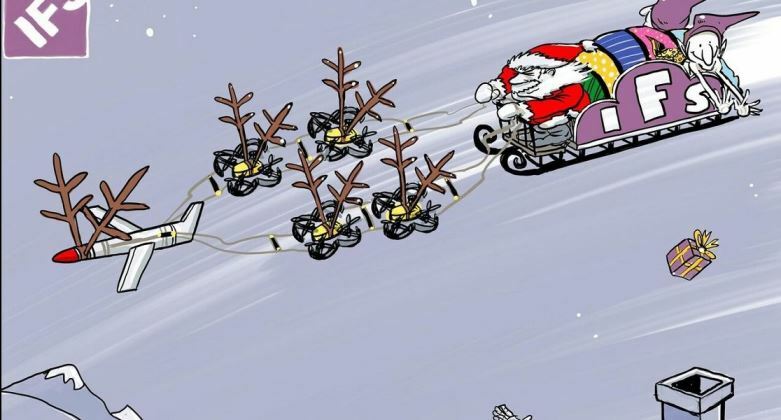 Retirement beckons for Santa’s reindeer with over half (51%) of IT decision makers believing that Santa will replace them with drones in order to improve the process of delivering presents. Some respondents also believe Christmas is migrating to the cloud, with 2 in 5 (40%) IT decision makers suggesting that Santa predominantly manages his IT in the cloud, meaning that servers no longer need to be maintained in his Lapland grotto. One outcome that is clear from the survey is that many IT decision makers have legitimate fears for the Christmas period including the availability of staff and risk of security hacks. It’s critical that in the run-up to the holiday season, businesses of all sizes ensure they are prepared for any issues that might arise and that they are in a position to support remote workers. With IoT and the migration to the cloud being such dominant trends in 2016, it is no surprise that in the more light-hearted section of the research respondents thought Santa might be considering this in the future! It’s something we’re seeing more and more businesses embrace across the sectors we work in. More than 1,000 respondents in six countries (UK, US, Germany, France, Australia and Sweden) were surveyed to gather insight into their thoughts on the top IT trends, how the stories of Santa will change thanks to upcoming technologies and general IT concerns over the Christmas period. Respondents include the main IT decision makers, including CIOs and CTOs, from a wide range of industries that IFS works with. 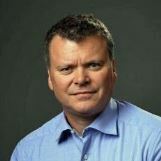 Mark Boulton is former Chief Marketing Officer for IFS.